Trinidad Tackle Casting Spinners are a quality in-line spinner. They are made right - to spin right! 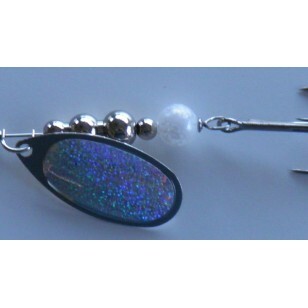 Each spinner is Precision Balanced, so there is no need to jerk the rod to make it spin. Because Trinidad Tackle Precision Balances each spinner, they can be Slow Rolled!